The ​European Commission blacklisted Ethiopia for being very risky in money laundering and terrorism financing, urging banks situated in Europe to apply enhanced due diligence on financial flows from the country. Aiming to ensure proper functioning of the European market, the Commission, in its latest regulation released on October 27, 2017, added the country to the list of high-risk third countries along with Iran, Syria, Yemen and seven other nations. Nearly 400 of the 623 investors who took land for development in the Gambella region, western Ethiopia, have reportedly taken multiple loans on a single plot of land. Most of the so-called “investors” have reportedly been from Tigray region. A report issued by a team to probe into the case concluded that 381 investors have taken multiple loans on 45,000 hectares of land. The Development Bank of Ethiopia also said it is investigating cases where multiple loans were issued on a single plot of land. The report did not say how much money was squandered in the scheme but data shows about 200 investors have taken over 50 million dollars in loans from the Development bank of Ethiopia. Only about 300 of the close to 600 tractors imported duty free were actually seen on the location of the development. The report also said 29 investors who took loans to develop land have not reported yet. The team said in a report that it actually could not put faces on the files of the said 29 investors. The government sponsored study also revealed that only 15% of the 630,000 hectares of land has been developed as of this year. Last week, over one thousand Tigrayan businessmen who took land for agriculture in Gambella, displacing the locals, complain of lack of additional loans from the Development Bank of Ethiopia. Critics say the complaint by the Tigrayan businessmen only revealed that they were actually favored by the ethnocentric government and that they were the only ones with access to land and loans. Several local and Indian investors have disappeared after taking millions of dollars in land loans in Gambella, Benishangul and other naturally endowed regions of Ethiopia. Oromos have been the victims of indiscriminate and disproportionate attacks in the hands of security forces. Awol K. Allo is a Fellow in Human Rights at the London School of Economics and Political Science. So much for the “Ethiopia rising” meme which Ethiopian authorities ostentatiously promote to camouflage the repressive nature of the state. A new report published by Human Rights Watch on the Oromo protests depicts a disturbing picture of a government that thrives on systematic repression and official violence. The report, which puts the death toll from the seven-month-long protest at more than 400, exposes the “Ethiopia rising” narrative for what it is: a political Ponzi scheme. Underneath the selective highlighting of Ethiopia’s story of renaissance and transformation lies a Janus-faced reality in which the triumph of some has meant the utter submission of others. The Oromo protests are exposing the senseless suffering and brutality that lies beneath Ethiopia’s rhetoric of development and revival. After 25 years of absolute control over the country’s public life, the ruling party is facing its biggest political challenge yet: an unconventional and innovative resistance to its iron-fisted rule. What is unfolding in the drama of this increasingly defiant and unprecedented protest is the subplot that producers and cheerleaders of the “Ethiopia rising” myth neither anticipated nor fully understood: the power of the indignant to wreak havoc and paralyse the state even as they were met with murderous official violence. Though the protest was initially triggered by the threat of displacement by Ethiopia’s development policies – particularly the proposed expansion of the territorial limits of the capital, Addis Ababa, into neighbouring Oromo lands – this is not the sole reason and cannot provide an adequate explanation of the level of defiance on the streets of Oromia. Rather, the protest is a manifestation of long-simmering ethnic discontent and deeper crisis of representation that pushed Oromos to the margin of the country’s political life. Despite a rare concession by the authorities to cancel the “master plan”, the protest is still ongoing, demanding genuine political reforms aimed at an equitable reorganisation and overhauling of existing frameworks and arrangements of power in the country. Protesters argue that the prevailing arrangements with the ethnically mixed morphology of the Ethiopian state, in which ethnic Tigray elites dominate all aspects of public life, are not only undemocratic, they are also an existential threat to the peaceful co-existence of communities in the future. As the single largest ethnic group in a multi-ethnic country in which ethnicity is the pre-eminent form of political organising and mobilisation, the prevailing arrangement presents a particularly unique and challenging problem for the Oromo. According to the 2007 Ethiopian National Census, Oromos constitute 34.49 percent of the population while Tigray, the politically dominant ethnic group, represents 6.07 percent of the total population. 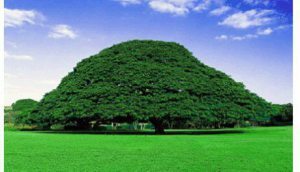 The real figure for the Oromo people is much higher. The silence of the international community in the face of consistent reports raising alarms about systematic and widespread atrocities is deafening. By virtue of being a majority ethnic group, Oromos represent an existential threat to the legitimacy of ethnic Tigrayan rule and therefore have to be policed and controlled to create an appearance of stability and inclusiveness. In a landmark report titled “Because I am Oromo“, Amnesty International describes a widespread and systematic repression, astonishing in scope and scale, in which the conflagration of ethnic identity and political power gave rise to the unprecedented criminalisation and incarceration of Oromos over the past five years. Oromos have been the victims of an indiscriminate and disproportionate attack in the hands of security forces. This, protesters argue, had a far deeper and more corrosive effect of rendering Oromo identity and culture invisible and unrecognisable to mainstream perspectives and frameworks. OPINION: Ethiopia drought – How can we let this happen again? The government’s response so far has been to dismiss the movement as misinformed, and besmirch it as anti-peace or anti-development elements controlled and directed by external forces – an old tactic used by the government to discredit and criminalise dissent. The most vocal and outspoken members of the movement are being tried for terrorism. The obsessive focus of the West on the “war on terror” and the tendency to define human rights policy through the lens of the war on terror means that those who abuse their citizens under the guise of the war on terror are impervious to criticism. In the decade since 9/11, the West went beyond technical and financial support to providing diplomatic cover to abuses of human rights including by creating make-believe stories that Ethiopia is a democracy and an economic success story. High-ranking government officials, including the United States President Barack Obama, praised the ruling party as “democratically elected“, providing much-needed endorsement and legitimisation to the government. Ethiopia is a classic case of US counterterrorism policy inadvertently producing the very thing it seeks to prevent: helping to create an Orwellian surveillance state reminiscent of the Stasi in East Germany. The “Ethiopia rising” narrative and its economic fiction is beginning to unravel. With the IMF significantly downgrading its economic forecast to 4.5 percent from 10.2 percent last year, the exodus of people fleeing its repression, and the droughts that made a fifth of its 100 million people dependent on food aid, Ethiopia’s economic miracle is being exposed for what it is: the benefit of the elite. The Ethiopian government and its partners in the West are thinking that the outcry will die away, that the outrage will pass. We should lose no opportunity to prove them wrong. Awol K Allo is Fellow in Human Rights at the London School of Economics and Political Science. Tags: Africa, Ethiopia, Ethiopia: TPLF's corruption empire, Ethiopia’s Electric Utility Sold Unregistered Bonds In U.S.
Wayyaaneen karaa seraan alaatin gorgurtaa bondii biyya Ameerkaa keessatii kan rawwatte dolaara miliyoona 6. 5 waan seraa biiyyaati cabsiitef akkaa kaafaltu agoowoni Ameerkaa itti murttessan. Washington D.C., June 8, 2016 (SEC) — The Securities and Exchange Commission today announced that Ethiopia’s electric utility has agreed to pay nearly $6.5 million to settle charges that it violated U.S. securities laws by failing to register bonds it offered and sold to U.S residents of Ethiopian descent. Posted by OromianEconomist in Africa, Corruption, Corruption in Africa, Economics, Illicit financial outflows from Ethiopia. 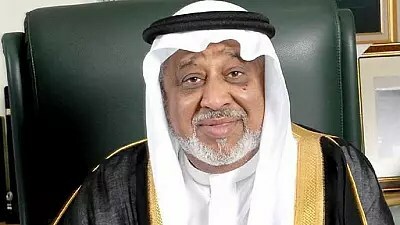 Tags: Africa, Ethiopia, Ethiopia: TPLF's corruption empire, George Ayittey: Africa's cheetahs versus hippo, Illicit Financial outflows, Illicit financial outflows from Ethiopia, RUSH FOR THE EXITS: WHY IS ETHIOPIA’S CAPITAL FLIGHT ACCELERATING? According to estimates reported by the World Bank, the amount of official development assistant (ODA) Ethiopia received in 2010 was $4 billion but total amount of IFFs during that year was $5.6 billion. This means in 2010 alone Ethiopia’s IFFs exceeded the ODA it received that year by $1.6 billion. In other words, Ethiopia’s IFFs amounted to diverting the entire aid money of 2010 to foreign banks and then still transfer abroad an additional sum of money. During the entire period (2004 to 2013) the total amount of money that Ethiopia lost due to IFF was $26 billion. This amounts to stealing nearly $300 per citizen. Alternatively, the size of stolen money was about 11 times the total the amount of emergency aid being sought from donors in the current year to buy cereals from abroad and feed the drought victims. RUSH FOR THE EXITS: WHY IS ETHIOPIA’S CAPITAL FLIGHT ACCELERATING? It should be noted that the SSA average is largely driven by money being squandered by oil and other mineral resources exporting countries such as Nigeria and Angola. It is telling to note that Ethiopia, a country not known for exporting substantial mineral resources, is now characterized by illicit money outflow to GDP ratio exceeding that of an average SSA country. The analysis in the preceding sections relied entirely on the Global Financial Integrity (GFI) report. GFI methodology is strictly confined to official records as starting points and then mirrors records at different places and times. Systemic discrepancies between records are then registered as illicit transactions. Clearly, then the GFI methodology does not account for illicit money flows that take place through financial transactions in informal or black markets. Remittance flows are riddled with black markets in hard currencies. The situation is even worse in the context of Ethiopia, where official hard currency flows are tightly controlled, and hence creating conditions for prevalence of underground currency transactions. To the extent that remittances are channeled through formal banking or foreign exchange offices, then the transactions get into the balance of payment records. Leakages from the flow are accounted for through the GFI approach called “hot money” discussed earlier. However, there are strong evidences indicating that the bulk of remittance transfers to Ethiopia actually happen through informal channels, mainly because of better rates and lower costs. The informal channels may take one of two forms. First, it is common for Ethiopians living abroad to take hard currencies with them every time they visit home and then directly exchange it to birr in local black markets at better rates by avoiding transfer fees. It also happens that they send hard currencies via travellers they trust so that they give it to their relatives, who in turn get it converted in local black markets. The World Bank estimated that 14% of Ethiopians to whom money was transferred from abroad in 2010 got it through travelers. Since the World Bank has not made a reference to money converted at local black markets, it means the total amount of hard currencies entering Ethiopia by informal channels is much higher than the 14% who regularly receive remittances. Additionally, there is a more sophisticated black market which operates pretty much like the way foreign money transfer services operate, except that these are operated informally by individuals living abroad. As any Ethiopian living abroad can tell, every big city countries with hard currencies has a few black market operators who offer exchanges of foreign currencies to birr with additional incentives,at least two or three birr on top of the going rate that money transfer agencies offer. I selected a couple of major cities and gathered background information for this piece. The margins offered vary across time and space but the current margin on above Western Union conversion rates were at least one birr per unit of USD equivalents of local currencies in London, Dubai, and Kuwait, excluding foreign exchange office fees charged per transaction. This means Ethiopians living abroad have good enough incentive to look for black market operators rather than sending money through formal channels. The role of the black market is simply to collect and bulk the hard currencies. Where exactly the collected money goes is anybody’s guess. One may hope that importers who face constraints in foreign exchange rationing may smuggle out the hard currency they collected and/or importers may assign agents in foreign countries to collect and bulk hard currencies for them. In both cases importers may spend the money they bulked on purchasing goods and services that will eventually enter Ethiopia. This is an optimistic scenario since the country may eventually benefit from availability of goods and services in the domestic market, except that the transactions were done informally and the government might have lost some tax revenues. The upshot of this discussion, however, is that the hard currencies collected from local black markets may get smuggled out and get deposited in foreign bank accounts. Similarly, black market operators residing abroad may also be primarily motivated by a pressing need to convert birr into a hard currency and safely deposit it in a foreign bank account. It should be noted that the GFI methodology misses out such blind spots in remittance flow accounting, which means Ethiopia’s capital flights discussed in the preceding sections is highly likely to underestimate the size of illicit capital flights from Ethiopia. If so much has been done to move money illegally abroad by abusing formal channels, then it is realistic to assume that the informal channels are even more susceptible to abuses by the same group of actors who seem to be in a rush to the exits. At this juncture it is appropriate to pool together different lines of discussions in the preceding paragraphs. The most crucial point here is the timing of dramatic changes in Ethiopia’s capital flight. It is clear from the facts presented in this piece that 2005 was a watershed moment in Ethiopia’s capital flight history in recent years. For those who closely follow Ethiopia’s political and economic affairs, the fact that dramatic things began to happen soon after 2005 does not come as a surprise. The general election of that year and the upheavals that followed had seriously shaken self-confidence among the elites who held political and economic power. The possibility of losing power and economic advantages that accrues from it began to be felt starting from that year, when the ruling EPRDF snatched power under murky conditions from the hand of the opposition who claimed they actually won the general election. This argument is substantiated by the following logical reasoning established in our discussions earlier. In the Ethiopian context there are no foreign banks, and domestic banks are very tightly controlled by the government. Also, there is a great deal of overlaps between interests of big businesses and those of government officials. In that case, corrupt government officials and their affiliated businesses are the likely culprits for capital flights from Ethiopia at such epic proportions. The fact that rampant corruption has crippled the current government is openly debated in local media and among the elite at official forums. The evidence provided in this piece only corroborates the ongoing public debate. ED’s Note: J. Bonsa is an economist by training. He can be reached at dinade0612@gmail.com. 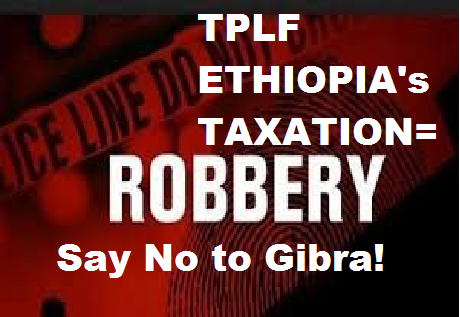 Tags: Africa, Ethiopia, Ethiopia: TPLF's corruption empire, Illicit Financial Flows from Ethiopia, What is the #Panamapapers and doeshow it works? (National Helm) — Two Chinese migrant workers found $356,246 cash in airport and returned it to three travelers from‪ Ethiopia. The migrant workers who were working on a construction project in southern ‪China‬‘s Guangzhou Baiyun International Airport Friday found a white paper bag containing bulks of US dollar bills unattended. 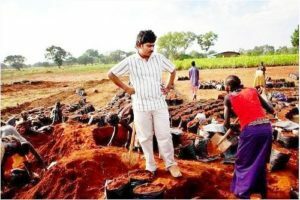 The workers reported the situation to the police and later on met three Ethiopian travelers who came to claim the lost. The migrant workers’ move won lots of praises after the story went viral. 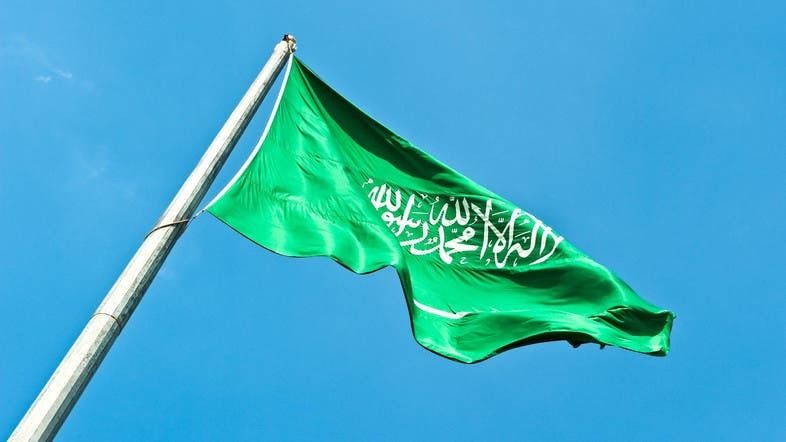 Posted by OromianEconomist in Ethiopia's Colonizing Structure and the Development Problems of People of Oromia, Afar, Ogaden, Sidama, Southern Ethiopia and the Omo Valley, Free development vs authoritarian model. Ethiopia: Double Digit Growth or Collapsing Economy? Ethiopian government’s increasing reliance on foreign loans is posing a serious risk of economic collapse, a renowned economist has revealed. “Take for instance China, which has loaned over $17 billion to the Ethiopian government for infrastructure projects. Our total investment is 40 per cent of the GDP. Our saving is between 10-20 per cent of the GDP. “We import $13 billion and export $3 billion. They are the ones who are filling all these deficit gaps,” said Dr Alemayehu Geda. The Addis Ababa and London universities don was presenting his paper on Foreign Direct Investment (FDI) in Ethiopia and Credit Financing. “What will happen if they stopped such financing tomorrow? What if, for instance, the Chinese government tomorrow says sell for me Ethio Telecom or sell to me Ethiopian Airlines or give me some share or buy my aeroplanes, or I will stop such credit financing? “The country will collapse, I guarantee you,” he said. The don elaborated giving the example of how the Koreans mitigated against such dependency risks when they used to source 75 per cent of their imports from the US some decades ago. Dr Alemayehu presented his paper in Addis Ababa at the launch of a two-year 12 series of public dialogue by the Forum for Social Studies – a local civil society, partially financed by the UK’s Department for International Development (DfID). “The Koreans came out of such vulnerability risk after analysing their situation properly, discussing the issue with their intellectuals and setting long term plans,” he said, advising the Ethiopian government to invest in quality education, skilled labour and improve the negotiations capacity as well as have in place a well-designed policy. Official estimates have shown the Ethiopian economy growing by double digits annually for about a decade now, a figure that has highly been doubted by independent scholars. The Addis government has been applauded for growing the country’s GDP by around 10 per cent per year for the last decade. In his paper, Dr Alemayehu indicated that Ethiopia’s external loan included $17.6 billion from China for various infrastructure developments, around $3 billion from Turkish and close to $1 billion from Indian governments. The World Bank’s data shows that from 2012 – 2016, Ethiopia has taken a total loan of close to $6 billion from the global lender. Last year, Ethiopia for the first time, joined Euro Bond and accessed $1.5 billion. In addition to loans, reports show that some $3 billion annually came to the country in the form of aid from donors. Ethiopia’s exports have declined from around $3 billion last year to around $2.5 billion this year, as revealed in the recent six-month report of the prime minister to the parliament. Even though tax collection has been growing by an average of 20 per cent annually over the past five years, Ethiopia’s tax to GDP ratio still stands at 13 per cent, which is less than the around 16 per cent of the sub-Saharan average. Last year, Ethiopia collected around $6 billion from tax, including $25 million recovered from contraband traders. The figure could have been raised by at least $3 billion had it not been for the generous tax incentives the country has provided to investors, according to latest report of the Ethiopian Revenue and Customs Authority (ERCA). In only nine months of Ethiopia’s last budget (July 8, 2014 – July 7, 2015), the country provided tax incentives of around $2.4 billion to investors, by exempting them from customs and excise duties and withholding, VAT and surtaxes, according to ERCA’s report. A financial integrity report last December indicated that around $2 billion was leaving Ethiopia every year through mis-invoicing and other tax frauds. When it comes to the FDI coming from China, India and Turkey, close to 71 per cent of their investments in Ethiopia were in the manufacturing sector. However, job creation, technology transfer and export contribution were insignificant for Ethiopia, which has over an 90 million population dominated by the youth. The country has about 16 per cent unemployment rate, according to Dr Alemayehu. Between 2003-2012, there were 93 Chinese companies that had reportedly invested $600 million, creating around 69,000 permanent and 79,000 temporary jobs for Ethiopians. There was little contribution to technology transfer and foreign currency generation through the exportation of their products. According to Dr Alemayehu’s paper, during the same period, Indian investments in Ethiopia created 24,000 and 26,000 permanent and temporary jobs respectively, while 341 Turkish companies operating in Ethiopia created a total of 50,000 jobs. Though much was being talked about Chinese investments growing in Africa, the Asian giant had less than 4 per cent of total share of FDI on the continent, out of the total stock of $554 billion worth in 2010. Most of the investments in Africa were still dominated by the Western companies, according to Dr Alemayehu. Prime Minister Hailemariam Desalegn recently told the local media that Ethiopia’s GDP growth was not expected to record a double digit this year and would likely drop to around 7 per cent. However, his special economic adviser with a ministerial docket, Dr Arkebe Equbay, reportedly told Bloomberg media that the economy was expected to grow by 11 per cent this year. The government was now expected to deal with puzzles such as why the economic performance was not as good as in the previous years, with all the generous incentives to investors and huge infrastructure investments mainly dependent on local and external loans? How to repay its local and foreign debts before the lenders force the government to cede shares in its highly protected businesses, such as, Ethio Telecom, Ethiopian Airlines, the Commercial Bank of Ethiopia, the Ethiopian Insurance Corporation and Ethiopian Shipping Lines is, for sure, the elephant in the room. But the big question is: How soon will these issues get the attention of a government pre-occupied with trying to feed about a dozen million people affected by drought and dealing with political unrest and conflicts mainly in Oromia and Gondar area of Amhara Region? Posted by OromianEconomist in Corruption, Ethiopia's Colonizing Structure and the Development Problems of People of Oromia, Illicit financial outflows from Ethiopia, Uncategorized. Ethiopia is listed among the countries in the world where corruption highly prevails. According to Transparency International’s Corruption Perception Index, Ethiopia ranks 103 out of 168 countries and territories included in this year’s index.This doesn’t come as a surprise to many as Ethiopia has been for two decades under the control of a bunch of corrupt officials who are deafening us with the ‘11% economic growth’ mantra while millions of Ethiopians are starving to death.These corrupt officials are killing, torturing and imprisoning citizens in hundreds and thousands because they challenged their corrupt attitudes and their endless greed for wealth and power. Torban lama keessatti Birrii bilyoona 5n oltu baankii dhuunfa wayyaanee keessaa bahee gara baankii daldala Itiyyoophiya fi baankii Oromiya keessatti gale. Kana ta’uu isaa kan agarsiisuu fincila diddaa garbummaa irran kan ka’ee lammiin ilamaan Oromoo waamcihaa qoqqoobbii diinagdee warishaalee wayyanee fi kaamphaanii wayyanee irrati fudhatamuu jalqabameen wal fakkaata. Ammas lammiiwwan Oromoo maallaqaa baankii wayyanee keesa qaban akka hin baafinne dhorkamanii jiru. Sababiin isaa moo maallaqa amma kana sababbii tokko malee sa’aa tokkotti baasuun hin eyyamamu kan jedhamu dha bulchiinsa bankotii kana irra kan kennameefi. Ha ta’u itti harka lafa jalaatiin abban qabeenyaa axxiyyoonnonii bankolii dhuunfa kanaa maallaqa saamichaan argatan kana ammas amma isaan harka jiru saamanii biyya gad dhiisuudhaaf qopha’anii jiru. Ka’uumisi naannoo Oromiyaa keessatti ta’a jiru kunii Finfinnee Oromiyaan marfamtee jirtu si’a tokko akka garbaa nu irratti galagalu kan jedhu sodaa ofi keessaa kan qaban ta’uun isaa dhagahamee jira. Dabalataanis bankoliin kun gara fuunduraatii akka tarkaanfachuu hin dandenyee fi kisaara guddaa jala akka seenu danda’an ibisamee jira. Garuu haala jiru ibisuuf kan yaalanii fi akka sababaati kan ibsani bankinii daldala Itiyyoophiyaa Letter of credit seeran ala waan eyyemaa jiruu fi maammiltoonnii keenya nu dheenisaa jiru jedhani malee akka qoqqobiin ilamaanOromoo irra isaan muuddate hin ibsine. Qabeenya Wayyaanee armaa gadii irraa hin bitinaa, ittis hin gurgurinaa. Posted by OromianEconomist in Tyranny. When an elite drawn from small minority ascends to power, the process of consolidation brings about two developments that are complementary and conflicting at the same time. On one hand, as they try to consolidate power by fending off potential rivals, they develop an exclusionist policy that leads them to accumulate disproportionately high wealth and power. On the other, such exclusionist policy leads to developments of resentment among excluded groups which would be expressed through generalized hostility towards the privileged group as whole. These two developments enable the regime to increase internal cohesion. The control of huge resource among the minority elites allows them to spread it around hence reducing internal competition and conflict. More importantly the ever increasing hostility of elites of the ‘other’ towards the privileged group in general creates sense of collective insecurity and solidarity making ‘sticking together’ an inevitable reaction. This is basically what has been happening in Ethiopian politics in the last two and half decades. Tigreans who make up no more than 6% of the population have come to monopolize the meager wealth and power that country has. The TPLF regime has control over national resource that can be spread around the Tigrean elite reducing competition and conflict among them. The repression and exclusion of the rest has led to ever intensification of vocal hostility towards Tigreans. In such situation, even those Tigreans who might not support the regime policy and are not attracted to wealth and power would have to join the mothership due to shared sense of existential threat to the collective. 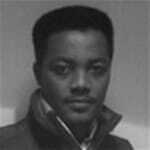 Posted by OromianEconomist in Corruption, Corruption in Africa, Uncategorized. Posted by OromianEconomist in Corruption, Free development vs authoritarian model. Ethiopia’s economic freedom score is 51.5, making its economy the 149th freest in the 2015 Index. Ethiopia is ranked 37th out of 46 countries in the Sub-Saharan Africa region, and its overall score continues to be below the regional average. With a large domestic market and promising economic prospects, Ethiopia has the potential to become a regional economic powerhouse, but persistent state intervention in the relatively closed economy has suppressed the growth of economic freedom over the past five years. Overall, the institutional basis of economic freedom in Ethiopia is still weak. A nominally independent judiciary continues to follow government policy advice, and corruption remains endemic. The government has made significant investments in major development projects, including the Grand Renaissance Dam, but restricts foreign investment in major industries and keeps important sectors of the economy closed to global trade and investment. Ethiopia has had 10 years of steady economic growth, but not enough to reduce poverty. 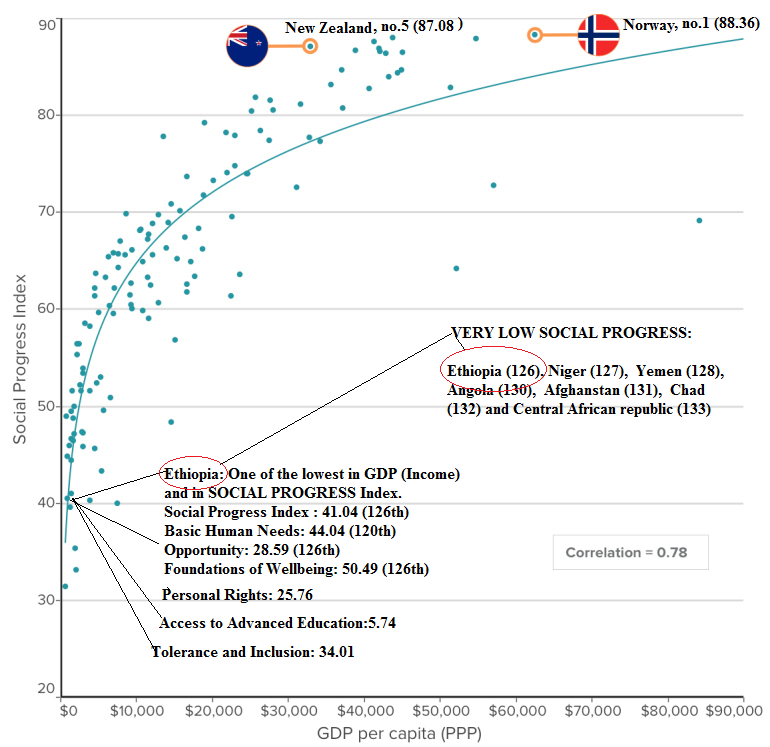 Its per capita income remains among the world’s lowest. Ethiopia is a leading coffee producer. Its economy is largely based on agriculture and is vulnerable to droughts and external shocks. 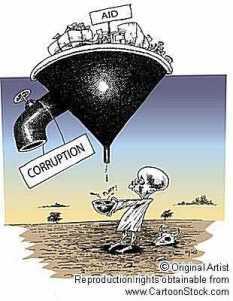 Corruption is a significant problem in Ethiopia. State institutions are dominated by ruling EPRDF officials who reportedly receive preferential access to credit, land leases, and jobs. Under the government’s “villagization” program, hundreds of thousands of indigenous people have been forcibly relocated to new villages with inadequate infrastructure so that the state can lease their lands to commercial agricultural foreign investors. Ethiopia’s top individual income tax rate is 35 percent, and its top corporate tax rate remains at 30 percent. Other taxes include a value-added tax and a tax on capital gains. The overall tax burden equals 11.6 percent of the domestic economy, and government spending accounts for 16.9 percent of gross domestic product. Public debt equals 22 percent of annual production. Inconsistent enforcement of regulations often impedes business activity and undermines economic development. The minimum capital requirement for launching a business is higher than the level of average annual income. Much of the labor force is employed in the informal sector. Monetary stability has been weak, and subsidies for the government’s state-led development model are hindering private-sector growth. Ethiopia has a 10.3 percent average tariff rate. It is not a member of the WTO, and government procurement processes can favor domestic companies. Foreign investment is heavily regulated. There is no constitutional right to own land. The small financial sector continues to evolve and is largely dominated by banks. The capital market remains underdeveloped, and there is no stock exchange. 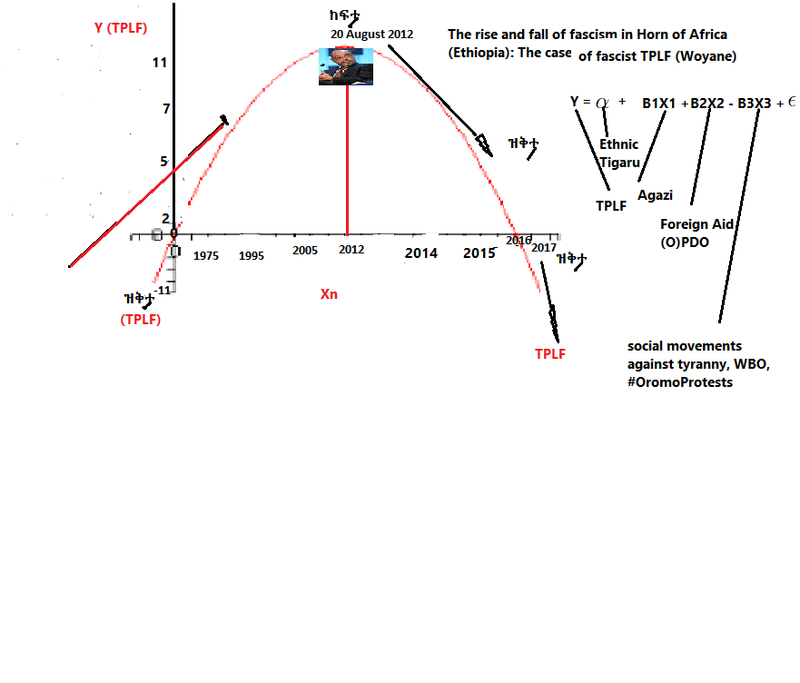 ETHIOPIA: IS TPLF GOVERNING OR EXPANDING IT’S CORRUPTIONS EMPIRE? Posted by OromianEconomist in Africa Rising, Youth Unemployment. Sub-Saharan African countries are the poorest regions of Africa and the world. 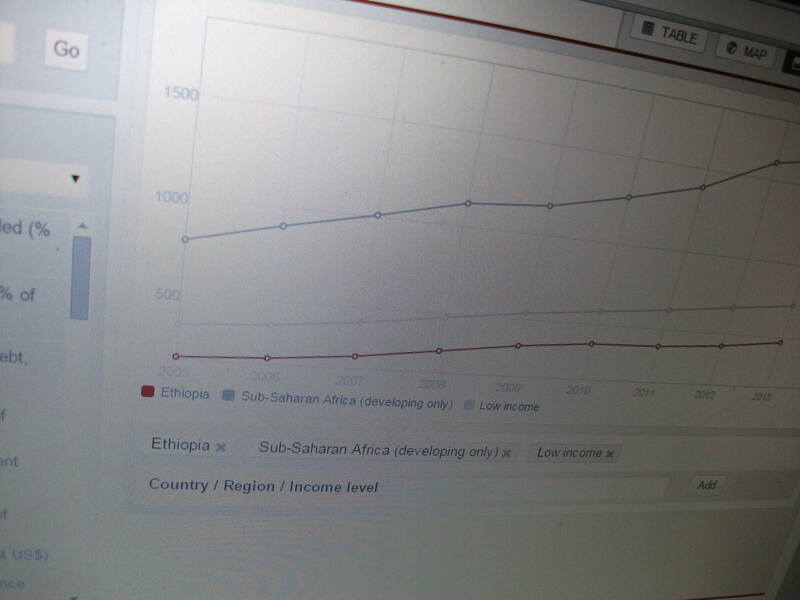 The World Bank’s Per Head Income trend from 2005 shows that Ethiopia’s trend is by far below Sub-Saharan Africa average trends with constantly widening gap. With Per Capita Income of below $500 throughout the trends, World Bank data shows that Ethiopia’s trend has been below the averages of world’s low income countries. So, what is the point of Ethiopia’s ‘fastest growth’ hype? Posted by OromianEconomist in Colonizing Structure, Corruption, Corruption in Africa, Illicit financial outflows from Ethiopia. According to the World Bank, companies held by business group the Endowment Fund for the Rehabilitation of Tigray (EFFORT) account for roughly half of the country’s modern economy. The group is closely allied with the ruling Ethiopian People’s Revolutionary Democratic Front (EPDRF), an alliance of four parties. EFFORT is a conglomerate formed from assets collected in 1991 by the EPRDF to rehabilitate the Tigray region in northern Ethiopia after it had been decimated by poverty and conflict. 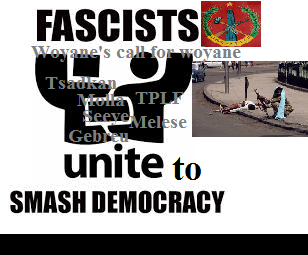 The Tigray People’s Liberation Front (TPLF) is the lead party in the EPDRF coalition. Tigrayans, however, only account for eight percent of the country’s 90 million people. According to Abebe Gellaw, an exiled Ethiopian journalist and founder of Addis Voice, a web platform that provides news that is otherwise censored by the Ethiopian government, EFFORT has become a business racket for the Tigrayan elite who are monopolising major sources of the country’s wealth. “The TPLF controls key government institutions and a significant portion of the economy. For over 15 years, EFFORT has been used by the TPLF to channel public resources and funds to the coffers of the TPLF through illegal deals, contracts, tax evasion, kick-backs and all sorts of illegal operations,” he told IPS. 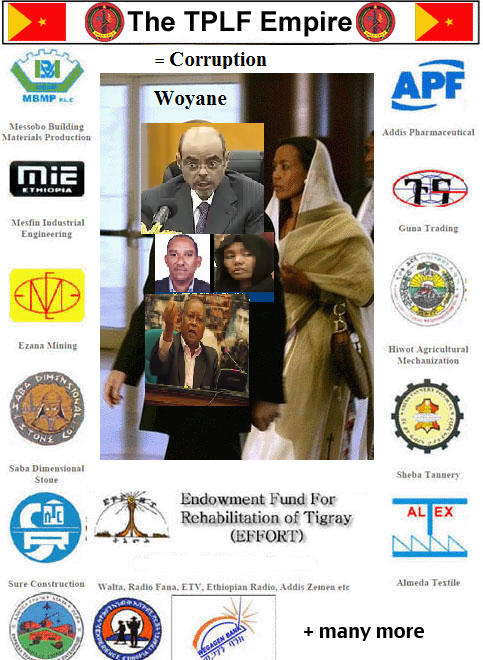 Azeb Mesfin, Zenawi’s widow, currently manages the multi-billion-dollar business empire. She claims her husband paid himself a modest salary of 250 dollars a month, yet the online website “the Richest.org”, which publishes the net worth of the richest people in the world, recently divulged that Meles was in fact one of Africa’s wealthiest leaders having amassed a personal fortune of three billion dollars. (Africa cradle, Finfinnee/London) – Ethiopia may be one of the fastest-growing, non-oil producing economies in Africa in recent years, but corruption in this Horn of Africa nation is a deterrent to foreign investors looking for stable long-term partnerships in developing countries. “Bankers, miners and developers presenting projects to investment committees in countries that fare badly in corruption rankings frequently struggle to get investment. Corruption raises red flags because it makes local markets uncompetitive, unpredictable and therefore largely hostile to these long-term players,” Ed Hobey, the East Africa analyst at the political risk firm Africa Risk Consulting, told us. On May 11, in the biggest crackdown on corruption in Ethiopia in the last 10 years, authorities arrested more than 50 high profile people including government officials, businessmen and a minister. 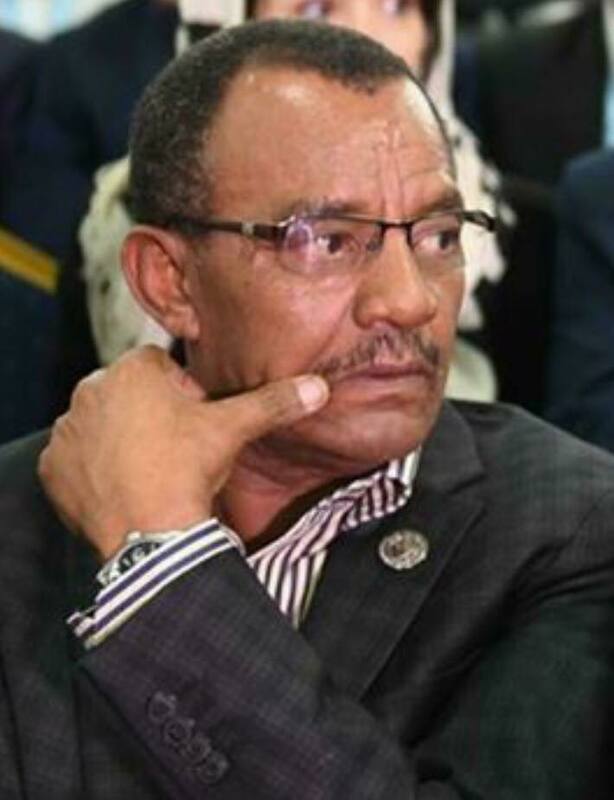 Melaku Fanta, the director general of the Revenue and Customs Authority, which is the equivalent rank of a minister, his deputy, Gebrewahid Woldegiorgis, and other officials were apprehended on suspicion of tax evasion. But the arrests have raised questions about the endemic corruption at the heart of the country’s political elite. Berhanu Assefa of the Federal Ethics and Anti-corruption Commission of Ethiopia told us that these arrests highlighted how corruption has insinuated itself into the higher levels of officialdom. “Corruption is a serious problem we are facing. We now see that corruption is occurring in higher places than we had previously expected. Areas vulnerable to corruption are land administration, tax and revenue, the justice system, telecommunications, land procurement, licensing areas and the finance sector,” he said. Ethiopia ranks 113 out of 176 countries on the Corruption Perceptions Index of Transparency International, a global civil society coalition that encourages accountability. The country has also lost close to 12 billion dollars since 2000 to illicit financial outflows, according to Global Financial Integrity (GFI), whose statistics are based on official data provided by the Ethiopian government, the World Bank, and the International Monetary Fund (IMF). Dr. Getachew Begashaw, a professor of economics at Harper College in the United States, told IPS that there was a fear that the recent high profile arrests were merely political theatre designed to placate major donors such as the World Bank and the IMF, and to give credibility to the new regime’s fight against corruption. Prime Minister Hailemariam Desalegn took over leadership of the country after Prime Minister Meles Zenawi died in August 2012. 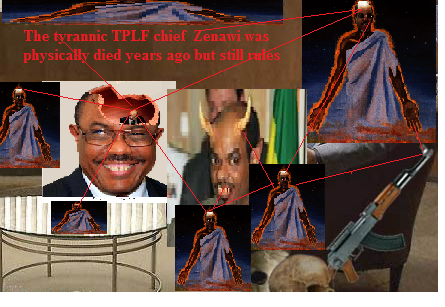 “They are using this as a PR stunt to appease not only the donors, but to also dupe the Ethiopian people. Because many non-party affiliated Ethiopians in the business community are complaining, and this complaint is trickling down to the average people on the streets,” he told IPS. She claims her husband paid himself a modest salary of 250 dollars a month, yet the online website “the Richest.org”, which publishes the net worth of the richest people in the world, recently divulged that Meles was in fact one of Africa’s wealthiest leaders having amassed a personal fortune of three billion dollars. This has led many to question the provenance of the erstwhile leader’s wealth – when he had no known business engagements. Illicit financial flows as a result of corruption are a major hindrance to a country’s development, undermining institutions, economies and societies. According to the Africa Progress Panel’s Africa Progress Report 2013, the continent is losing more through illicit financial outflows than it receives in aid and foreign direct investment. A commitment to greater accountability and transparency to curtail illicit financial flows should occur on both the national and international levels, according to E. J. Fagan, deputy communications director at GFI. “Reforms and policies are needed to strengthen customs enforcement and make governing apparatuses more transparent. The international community can create a multilateral system of automatic exchange of tax information that African countries like Ethiopia can access, so as to make it difficult for illicit actors to hide money and transfer large amounts of illicit money without detection,” he told IPS. Begashaw added that corruption in the social sphere also breeds social inequality, disenfranchisement and a breakdown in national unity and civil society. “The very existence of parastatals and TPLF-affiliated endowed business conglomerates like EFFORT is a major source of corruption. The Birr (Ethiopian currency) will depreciate and inflation will skyrocket. The capacity of the state to provide public goods and services will decline. Free market competition will be eroded. 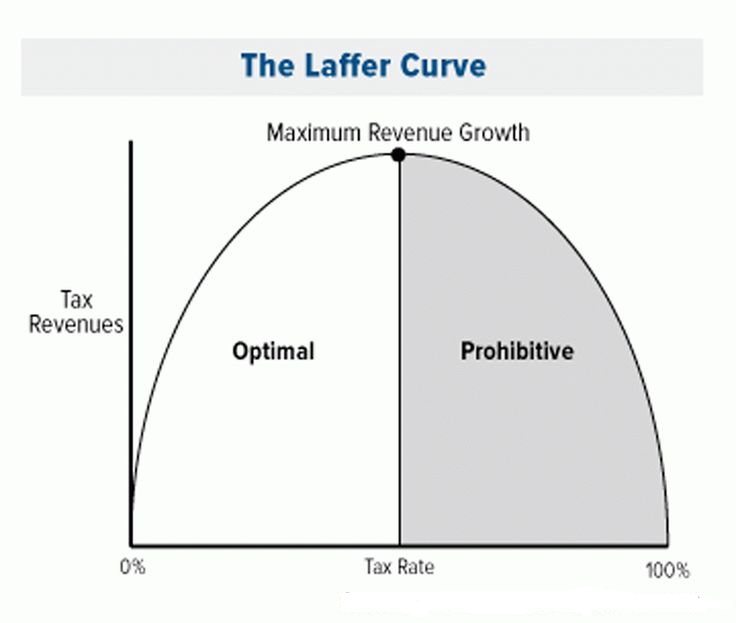 Government revenue will be reduced and the budget deficit will rise. “If they are really serious about combating corruption, they should start doing so from the top,” he said.